The police services study commissioned by the City Council is currently “on the table” with the consultant, Assistant City Manager Patrick Gallegos recently told the Sun. Richard Brady of the Matrix Consulting Group confirmed that the consulting firm is finishing the project. “Yes, we are revising the draft report. We are nearing the end of that review and editing process,” Brady wrote in a Tuesday, Oct. 30 email to the Sun. 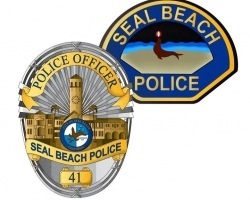 At the Oct. 16 Town Hall on Measure BB, Seal Beach Interim Police Chief Miller said the Matrix Consulting Group had sent them a draft of the study that was 100 pages long and the department sent it back with the department’s input. Miller also said the Matrix report on how many officers the force should have was close to SBPD’s own number based on their internal survey, which is 43. The City Council approved a contract to have Matrix perform the study in April at a maximum cost of $40,000. The council also approved budgeting an additional $4,400 to cover unexpected costs. The Sun has obtained copies of four Matrix invoices for the “Police Department Staffing Study” from April through August through a California Public Records Act request. The four invoices total $35,799 as of the start of August. According to an April staff report to the City Council that was prepared by Operations Bureau Commander Philip Gonshak, the SBPD had 45 sworn officers in 1978, then 34 sworn officers in 1997 and 37 budgeted sworn officers in 1999. According to Gonshak’s report, there are now 33 budgeted and sworn officers in the department. According to the most recent update of the city’s six-month strategic plan include hiring a community police team year-round to operate out of the sub-station at the end of the Seal Beach Pier; evaluating the number of visitors who come to Seal Beach each year to help evaluate, get an Orange County Fire Authority assessment of service calls related to the homeless, assign a police officer to Leisure World and expand community policing teams to all five of the City Council districts. These are contingent on whether or not Measure BB, a proposed one-cent sales tax increase, is approved by voters at next week’s election, according to the Strategic Plan update. Jeannette Andruss contributed to this story.